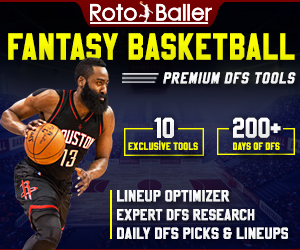 Looking ahead into Week 10, we're just about halfway into the fantasy basketball season. It's never too early to explore trades to boost your team's chances, especially in head-to-head leagues. With that said, we're here to bless you all with everything you guys need to stay ahead of your opponents in all your fantasy leagues. Below are our recommended waiver wire pickups for Week 10 of the fantasy basketball season, for those looking to beef up their teams. We wish everyone the best of luck in your leagues and may the odds forever be in your favor! It's the best time to start exploring trades, and get out ahead before it's too late! 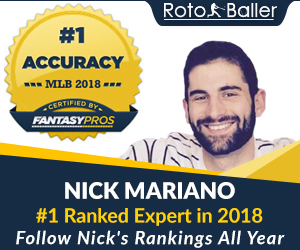 Sell high, buy low - trying to look for ways to improve your team despite where you are in the standings will go a long way for you in case injuries and cold streaks happen. As a reminder for most leagues, it's crucial to plan ahead. Waiver wire adds, scheduling and player injuries are all things to consider. 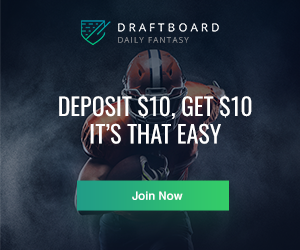 Drop the dead weight, make an effort to improve your team by maximizing your weekly adds and utilizing streamer spots via the waiver wire. Don't be attached to short-term pickups when there is a hot player on the horizon, especially if a hot player can stick with significant minutes the rest of the season. Be wary of weekly streaming options and stay ahead of your opponents. 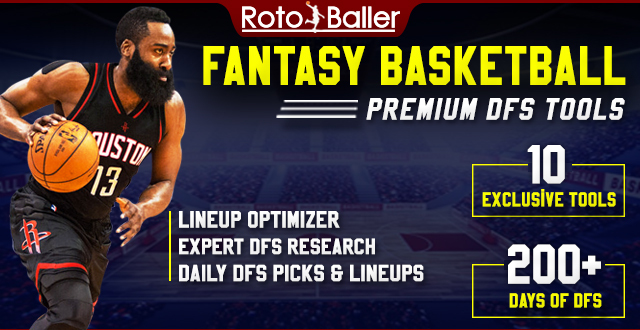 Our staff at RotoBaller has great insight and daily columns on how to improve your squad and tips to make your team successful, so be sure to check them out! Now let's get prepared for Week 10. The injury to Mitchell Robinson (ankle) and Lance Thomas (knee) will give Vonleh a bigger leash for more minutes and contributions as he was already a stable player to roster in most 12-team leagues. Vonleh had an impressive double-double by putting in 15 points, 11 boards, and seven assists in 42 minutes of action. The upside and minutes are there, so scoop him up and hope he continues to have a fine season. Marvin Bagley (knee bruise) is out at least for the next two weeks, which makes Bjelica a must-own player again. He's drained 12 triples in the last three contests, including four blocked shots on Sunday. The Kings lean on him to space the floor and with Bagley out of the way, he'll be an excellent source of triples with nice percentages. Not exactly the most exciting player to own, Zeller clung onto late-round value thanks to his excellent percentages with the trickle of blocked shots. The former Hoosiers product scored 21 points with 13 rebounds, three assists, two steals, one block and one 3-pointer in 37 minutes against the Knicks on Friday on a near-perfect 9-of-10 from the field. Have to give him credit when it due, but Knox has quickly turned his rookie campaign around last week since being re-inserted back into the starting lineup. Knox has now scored in double-figures in four straight games and is averaging 17.4 points, 6.6 boards and 2.6 3-pointers per game over the last five. He's not contributing much in the defensive stats, but we shouldn't nitpick too much for a 19-year old rookie. He's worth owning in standard leagues, but I wouldn't hesitate to use this as a moment to sell and get a player in return with a more positive outlook. Gary Harris (hip) will miss at least another week and Morris will likely get a bulk of those minutes playing next to Jamal Murray. Given that assists are hard to come by, Morris is worth an add despite the Nuggets only playing two games this week. He's scored double-figures in six straight games now and continues to thrive in the Sixth-Man role. Paul Millsap (broken toe) will probably miss at least a month, so Hernangomez will get a huge boost for the time being. He's cooled off as of late but is still averaging close to 36 minutes per game over the last five. He'll have some up and downs and it'll all depend if his shot is falling, but the Nuggets are one of the best offensive teams so there's plenty of opportunities to get counting stats. Get him in your lineup as he has tremendous upside. His upside is similar to Nikola Mirotic. Taurean Prince (ankle) will miss extended time, where Prince being out for at least another week or so gives Huerter a huge boost. He's one of the best shooters in this draft and demonstrated why by knocking down 13 triples over the last four. He's still logging heavy minutes and despite being held to just four points on Sunday against the Nets, he should be kept at least this week to see where it goes. Olynyk went from DNP's earlier in the season to putting in double-digit scoring in eight straight games. The Heat realized they need his offensive punch off the bench and he's likely going to stick with this role as the season progresses. He's always had top-75 upside when given the opportunity, and I'd look to add him everywhere as he's logged 32 minutes on Sunday even with Hassan Whiteside active and healthy. Slo-mo has really worked his way into the standard league consideration after a brutal start. He's no longer battling a sore Achilles, and while the numbers won't wow you, he'll contribute in most categories to help you in many ways. He's doing enough in multiple categories to keep, even though he is boring to roster. Pick him up if you have dead weight on your roster. The steals and blocks are undeniable, and he should be picked up in most leagues because it's been that consistent. He's been a top-60 player the past week and is showing that he can maintain value in limited minutes thanks to his defensive contributions. If anything ever happens to Deandre Ayton, Holmes would become truly be unleashed. He's loaded with upside, and the departure of Tyson Chandler has given Holmes a stable backup role on the Suns. Harris is healthy again, and the Nets continue to give him big minutes. He's going to be a resourceful source of 3-pointers as long as he's logging close to 30 minutes per game, and his percentages won't hurt you anywhere. He's worth a look in all 14+ team leagues. Mudiay has played well as of late for the Knicks, having reached double-digit scoring in four straight games. His fantasy game is very similar to Reggie Jackson, as the assists to turnover ratio is mediocre at best and the percentages will prevent him from being a top-100 asset. There's no telling if he'll continue to start, and it's anyone's guess given Fizdale's constant jerking of the rotation. He's worth a look if you can deal with the volatile production. Green is averaging 11.6 points and 7.0 rebounds per game as a reserve behind Jaren Jackson J.R. and Marc Gasol, so it's clear that he's a better player coming off the bench against the opposition's second units. He's more suited for deeper leagues. Kurucs has taken advantage of the injured Allen Crabbe (knee) and looks to be a great fit in the Nets offense lately. The Nets have suddenly won five straight games after Sunday and Kurucs has certainly played his way into the rotation by averaging 13 points per game and shot a combined 13-of-21 from the field over the last three games. He's someone to heavily monitor as the season goes on and he has a hint of upside you won't find elsewhere on the waiver wire. The Heat is battling a lot of nagging injuries with Goran Dragic (rest), Josh Richardson (shoulder) and Tyler Johnson (hip) so Johnson and Winslow is getting a handful of opportunities to produce more. He's slowly come on and should be on the radar in even standard leagues given his multi-category contributions. Johnson's averaging 10.8 points, 3.6 rebounds and 2.0 assists per game over his last five contests. This is probably a dart and a lotto ticket, but Rivers can potentially be a starter in Phoenix. He's not a point guard by all means, but his athleticism with his volatile shooting will give him an opportunity to showcase if he's a good fit next to Devin Booker. He's a guy to monitor going forward and I would scoop him in 16 + team leagues to see where it goes, starting with the Knicks on Monday. Shamet has been so consistent he can be used as a streamer in any format as a 3-point specialist. The Sixers desperately need outside shooting outside of J.J. Reddick and he provides just that. Shamet has drained 12 3-pointers in the last four games and he can help put the odds in your favor if you need help in the 3-pointers category.